Shine Bright when you wear glitter face stickers. 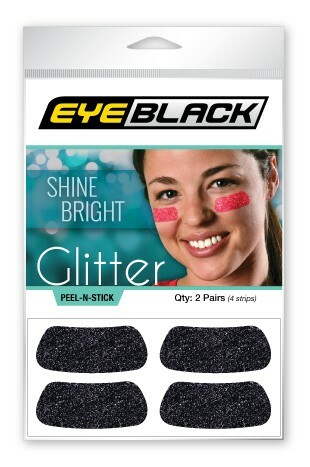 These peel and stick glitter eye black stickers are simple and easy to use. Use glitter eye black in softball, or apply it to various other surfaces including phones and laptops.